If I told you that you could pop a pill that will make you sharper, more creative and clear your mind in an instant, would you believe me? Well, it turns out that there is and that pill is known as a nootropic. Many call them smart drugs, while others say that there is a difference between smart drugs and nootropics. From natural to synthetic, benefits to side effects, how they work to whether they are addictive and to how the word is pronounced, today we will talk about nootropics from a broad and transparent perspective that you cannot get anywhere else. If you've never heard of Nootropics, or you have but don't know where to start, then you have come to the right place. 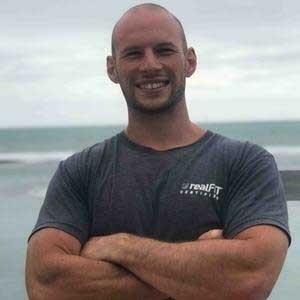 The short and long term benefits of nootropic use. How to find the best nootropic for your goal. So grab a coffee or a kombucha, and read on to learn everything you need to know about nootropics! A report by the Zion Market Research reported that the global nootropics market was worth more than USD 1,300 million in 2017, and these figures are expected to increase to about USD 6,000 million by 2024. We have seen reports claiming that both college and high school students are using smart drugs to hack their school grades. People with brain-related conditions such as ADHD and Alzheimer's are opting to use nootropics. So, what exactly are nootropics? Nootropics can be either synthetic or natural compounds that enhance the cognitive abilities of healthy individuals. However, the term 'nootropics' is a relatively recent name that Dr. Corneliu Giurgea, a Roman chemist who synthesized piracatem, used to describe compounds that could 'turn the mind.' That was in 1972, and decades later, there is still no universally accepted definition for what a nootropic is. There is however no correct way of pronouncing nootropic. You can say it in whatever way you prefer as long as you are understood. Considering the increasing popularity of nootropics and other cognitive boosters, it is possible to convince one for the other. 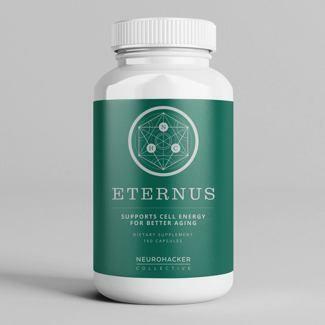 Nootropics are commonly known as brain drugs, memory enhancers, neutroceuticals, intelligence enhances, nutraceuticals, racetams, and cognition-enhancing supplements. Do Nootropics Work? Or Is It All Hype? Your brain is your entire universe, and you should do everything within your power to protect it and ensure that it functions optimally. Nootropics enhance every aspect of your brain functioning. They have both short-term and long-term benefits, both of which we will discuss below. Nootropics have been known to improve memory since their invention. At the onset of their discovery, they were used by mature adults experiencing age-associated memory loss. Today, they are more versatile and they optimize performance-based memory functions and ease age-related memory loss. The benefits of getting rest go beyond a good morning the next day. Healthy sleep patterns are directly connected to peak brain performance. 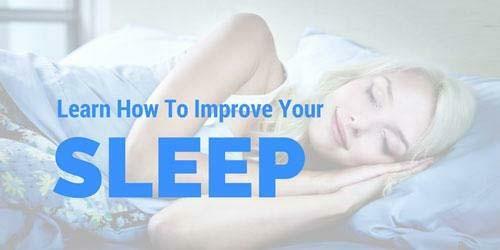 Now that many people are aware of what a good night's sleep can do for them, they are out to seek brain supplements that optimize sleep and cognition, which is something that nootropics can do. Many people seek nutraceuticals to enhance various aspects of their mood including tress, depression, and anxiety. Mood issues are associated with brain functions that can be improved using nootropics (1). Issues such as unbalanced brain chemicals, poor stress resistance, low brain energy, and poor blood circulation can be fixed by nootropics, which leads to enhanced mood. Attention and focus refer to one's ability to concentrate on a single task while ignoring other things that could be happening in the environment. According to Nootropic Underground, nootropics can help with several aspects of attention such as alternative attention, divided attention, focused attention and alternating attention. Now that many students are looking for natural ways to improve their performance, attention and grasping capability, the use of nootropics is on the rise. Education requires that you conquer a challenging combination of cognitive demands such as focus, memory and mental energy. Neutroceuticals are particularly crucial in handling these challenges and have added advantages of maintaining a calm mind during examinations and relieving stress. Without motivation, you would not have the drive to handle life and its numerous challenges. You need the drive to get up in the morning and show up for life. Nutraceuticals can help you harness the motivation giant inside of you by regulating dopamine, which is a brain chemical that drives us to achieve goals by giving us pleasure upon accomplishments. Even the most artistic individuals struggle with maintaining their creativity. If you want to enhance your creative spirit, consider taking nootropics. They act by steering the mind in a relaxed and free-flowing direction. Neutroceuticals affect the brain functions associated with creativity such as focus, relaxation, and mood. The brain is continuously regenerating, which refers to the development of new brain cells, remodelling and repairing of brain cell membranes. All of these regenerative bioactivities by the brain can be optimized using neutraceuticals. Nootropics work by acting as building blocks or growth promoters in mind. Cognitive functions tend to decline as you age. Memory loss is one of the early symptoms of cognitive decline. While older people are expected to experience these symptoms, even people in their 20s are experienced reduced cognitive function. Luckily, nootropics can help prevent a decline in cognitive functioning (2). There are many ways of boosting your brain power. Your goal of using neutraceuticals is what will determine whether you will use the natural or synthetic ones. Remember Dr. Giuregea’s piracetam? It is a cyclic derivative of GABA. GABA is produced in the body. However, since piracetam is not ‘natural,’ it is not legal in the USA as a dietary supplement and it is not approved for medicinal use by the FDA. The synthetic nootropic piracetam has been found to support memory, enhance concentration, improve learning capacity and reduce mental fatigue (7). The nutraceutical is accepted in many European countries and sold as a prescription medication. Clinical trials on piracetam show that the nootropic enhances your brain functioning in several ways such as boosting the effectiveness of the acetylcholine neurotransmitter. Acetylcholine is a chemical transmitter that allows neurons to communicate with each other. It is essential for focus, mental alertness, concentration, and memory. However, piracetam is not the only way of boosting acetylcholine functioning in the brain. Your body can make acetylcholine from the healthy fats you consume. Some of the food sources that act as precursors to acetylcholine production include milk, cheese, eggs, cauliflower, almonds, spinach, fatty fish, liver, wheat germ, and spirulina. In conclusion, there is no ideal source for nootropics since both natural and synthetic work. Some are however better than others. Considering that everyone’s body is different, it is expected that the effectiveness of neutraceuticals may vary from an individual to another. This section is a review of the specific mechanism or route that nootropics follow in providing the benefits stated earlier in the article. If you are usually mentally fatigued or you regularly experience brain fog, there is a chance that you might be low on brain energy. A recent study under the proceedings of the National Academy of Sciences showed that two-thirds of the brain’s power is utilized in helping the nerve cell to send signals. The remaining third is used to maintain the mind under optimum working conditions (3). The primary source for cell energy is adenosine triphosphate (ATP). ATP is produced during times of brain inactivity, such as when you are asleep or unconscious. When you are awake and utilizing your brain, you use the ATP that was made and stored during periods of resting. Nootropics known to increase ATP in the brain include Vitamin B 1, ginseng, CoQ10, mushrooms, and cordyceps. It is responsible for increased creativity, better learning and memory as well as dreaming sleep. It prompts the release of human growth hormone, drives you into deep trance like state, and access unconscious and collectively conscious mind. It ensures relaxation, light trance, super learning, and enhanced serotonin production. During the day, we are usually in the Beta state. Meditation can take you to the Alpha state. When you are focused on your work, engaging in sports or playing music, you can also get to the alpha wave state. Music with a binaural beat can also take you to deeper states of wave functions. The nootropic known as L-Theanine helps in boosting the intensity of the wave patterns in your brain. Oat straw also improves cognitive performance. Scientific research shows that there are about 86 billion neurons, with each of them connecting to 40,000 synapses. Neurotransmitters convey chemical messages between neurons via a complex chain reaction that sends chemical messengers across a synapse. The messenger binds to receptors at the receiving end of neuron’s dendrites and starts processing all over again. It is hard to comprehend the complexity of the brain irrespective of the number of nootropics you take. Active signaling between neurons ensures a highly optimized brain. When the signaling mechanism is not working as it should, your health is likely to have a hitch too. Dopamine controls movement and aids in the flow of information to the front part of the brain. It is also associated with emotions and thoughts. Insufficient dopamine levels are associated with ADHD, schizophrenia and Parkison’s disease. Serotonin affects functions such as sleep, mood, and appetite. Lower than the optimal serotonin levels leads to bad mood and depression. Glutamate is the most common neurotransmitter. When released, glutamate increases energy flow in the brain cells and boost learning. Inadequate production of glutamate is associated with autism, depression, and OCD. Your body produces this neurotransmitter from choline that you receive from supplements and foods. It plays a crucial role in memory and learning. It also creates healthy synapses that maintain brain plasticity. This is a stress hormone in the brain that enhances attention. It is responsible for the fight or flight response. Nootropics are essential in increasing and modulating all these neurotransmitters. They include tyrosine, turmeric, huperzine, serotonin, L-theanine, magnesium, and ginkgo biloba. Your brain is always under maintenance and repair mode. Blood flowing into the mind brings oxygen and nutrients that help fuel its activities. Blood that flows out carried waste materials and carbon dioxide for disposal. Brain damage may be repaired using nootropics depending on the type, severity, and length of damage. Brain aging results from the formation of free radicals in the brain, which damage brain cells. Nootropics that boost choline production can help prevent this damage. Brain-Derived Neurotrophic Factor (BDNF) is one of the proteins that enhance the growth of new neurons and prevents brain cell death. Low levels of the factor are associated with several diseases such as schizophrenia, obesity, Alzheimer's, depression, obesity, and accelerated aging. BDNF can be enhanced through high-intensity exercise, caloric restriction, intermittent fasting and by eating mushrooms. There is this pretty old myth that suggested that brain cells die off as we age. The misconception was debunked in 1998 when scientists in the Department of Clinical Neuroscience at the University Hospital in Sweden proved that human adult brains could generate new neurons throughout life. The new neurons produced boost memory capacity and reduced overlap between various memories. When the mind goes into maintenance mode, neurogenesis starts and ensures that neurons multiply. Some nootropics aid in neurogenesis, such as mushroom, taurine, piracetam, citicoline, Lion's mane, and L-Theanine. When you are feeling burnt out after a long work or study session, your brain may feel like it is in a 'foggy mode' and you aren't thinking as clearly as you should. This is known as mental fatigue, and it can occur in many ways. Brain fatigue shows up as depression, lack of concentration, poor focus, and depression. The causes of brain fatigue are countless, but common reasons include lack of oxygen in the brain, stress, and reduced blood glucose control. If you are always in a fight-or-flight stressed state, or you do not get sufficient rest, you are liable to experience a mental breakdown. Note that your brain is not an isolated organ because it interfaces with your gut and endocrine system. Nootropics such as Rhodiola Rosea, Ashwagandha and Bacopa Monnieri support the healthy functioning of your endocrine system and your brain. Cerebral blood flow is more like your brain’s plumbing system. It utilizes 15 percent of the blood that flows from your heart. Blood flowing into your mind brings in oxygen, glucose and other nutrients that are required for the proper functioning of the brain’s activities. The outflow of the blood removes lactic acid, carbon dioxide and other waste materials from the mind. Any discrepancies in this system might result in vascular dementia. Nootropics that are commonly used in increasing blood flow to the brain include Gingko Biloba, Bacopa Monnieri and Vinpocetine. A true nootropic should not be addictive. By definition it should boost brain performance naturally; thus making it safe and generally non-addictive. Some nootropics continue to give you long-term effects even after you stop using them. They usually have few side effects, are non-toxic and do not result in severe withdrawal symptoms. We use nootropics because we want to improve our cognitive function. However, is there a price we must pay to boost cognitive functioning with nootropics? Is my nootropic stack safe? In this section, we will look past the hype; we will dive into the safety and potential side effects of nootropics. Since their discovery in the 16th century, nootropics have been of great help. Most of the supplements are isolated from plants. Plant-based nootropics like Bacopa Monnieri have been used for thousands of years without any adverse effects. Even the racetam classification that includes nootropics derived from biochemicals produced naturally in the body such as the piracetam has been used for decades without any adverse effects. Contrary to claims by some medical professionals, nootropics have been put to the test for use by humans and animals. Generally, most nootropics work under the term YMMV, which stands for Your Milestone May Vary. Everyone has a unique biochemistry. Your environment will also play a role in determining the number of nootropics that you can handle. Every nootropic substance has a unique mechanism of action in the brain, as discussed in the previous section. Some of the factors that you should consider are age, dosage, duration, and frequency of use as well as the drug interactions. Some people have used nootropics for years without any effects, while others are unable to discontinue their use because of the withdrawal effects. Most of the scientific research on nootropics has been done outside the United States, and most of it is not in English. So it is somewhat difficult to determine whether nootropics have any side effects or not. Before taking any nootropic, you should take some time to read through the label and understand the dosage. Every medication could have an impact based on its mechanism of action. Every nootropic affects how the brain works. The tool may include cerebral circulation, neuroreceptors, neurotransmitters, and hormone levels. Some nootropics affect the critical brain functions including DNA, mitochondria and cell membrane. Others act as free radical scavengers. The frequent alteration of brain chemistry might shrink or expand specific areas of your brain. This changes how your mind works when you are taking the nootropic, even after you stop using it. Some nootropic users say that extended use makes them dependent on the nootropic in question. They claim that once they stop using the pill, their cognitive function declines. Some say that quitting makes the condition that they wanted to correct worse than it was at the onset. Therefore, if you experience adverse effects after discontinuing, you should asses your options carefully. Many of the nootropics in the market that we use to optimize cognition might interact with prescription medication. That is why you should read the package and see the warnings that the manufacturer has included. You can also use online resources to understand the nootropic better before you start using it. Before using any product, ensure that you have done intensive research on the provider of your stack. Get an assay of the compound before using it to know if there is any documented adverse effect. While we haven’t heard of anybody that died or ended up in the ER because of a nootropic they were using, buying your stack from a verified dealer will increase the possibility of purchasing a safe product. We mentioned dependence earlier, which is in a way related to understanding. Tolerance may be defined as not having the same benefit from a nootropic with long-term use. The ‘placebo effect’ can happen with nootropic use, especially products with stimulant effects. One of the most mistaken aspects in the nootropics industry is that many people do not know the difference between a smart pill and a nootropic. People use the terms ‘smart drug’ and ‘nootropics’ interchangeably, which is not factual. Nootropics can heal your brain, but smart drugs can kill you. Smart drugs and nootropics are entirely different compounds that are both used to optimize the functioning of the brain. In this section, we will dig into the differences so that you can understand what is right and what isn’t. In 2013, a New York Times author, Alan Schwarz, wrote an article titled, “Drowned in a stream of prescriptions.” The story is based on a young man named Richard Fee who was the class president. Richard lied to doctors that he had ADHD. From an early age of 24 years, he was entirely dependent on Adderall. At some point, Richard became violent and spent a week in a psychiatric hospital in 2011. He then met a doctor who gave him a 90-day prescription of Adderall. Two weeks after running out of the medicine, Richard could no longer take it and he hanged himself in his bedroom closet. Richard Fee is one of the four American teens who misuse prescription drugs according to a study. The same research suggests that one in eight teens have taken a stimulant like Adderal and Ritalin without a prescription. The researchers also felt that parents have a lax attitude, in that they are less concerned with the medication that their children are taking. If you are using prescription medication or considering using them to perform well in school, you should reconsider your decision because the side effects are not worth the grades you will get. You might not live long enough to enjoy the fantastic grades. The science journal, Nature, conducted an informal poll that included more than 1,400 readers from 60 countries. The journal questioned them about the use of smart drugs like modafinil, Ritalin and beta blockers. One in five of the respondents said that they used these drugs for non-medical reasons to enhance their memory, concentration, and focus. Among those who used the drugs, 15% admitted to having taken beta blockers, 44% modafinil and 62% methylphenidate. A few of the respondents said they were taking Adderall. Smart drugs are stimulants that spike energy and focus on people who are clinically diagnosed with ADHD or narcolepsy. They usually have harmful side effects such as mood swings, cardiac issues, reduced appetite, irritability, sleep issues, and anxiety. When Dr. Corneliu coined the word nootropic, he derived it from the Greek words ‘nous’ (mind) and ‘trepein’ (to bend). He described a nootropic as a drug that should protect the brain and increase its natural cognitive processes. He also said that it should not stimulate, depress or have any toxic effects on the brain. According to this definition, smart drugs are not nootropics. If you are clinically diagnosed with ADHD or ADD and the doctor prescribed stimulants like modafinil, this article does not suggest that you stop taking the medication. It is essential that you do not overdose or misuse it. By now you might be keen to experiment with nootropic. So, you head off to the local vitamin shop or check some sites online. But you soon notice that there are thousands of products out there, and you have no idea which one you should buy. Your mind starts comparing the prices since you do not recognize any of the brands. Is price the only factor you should consider when buying nootropics? No. There is a lot to consider when buying a nootropic. 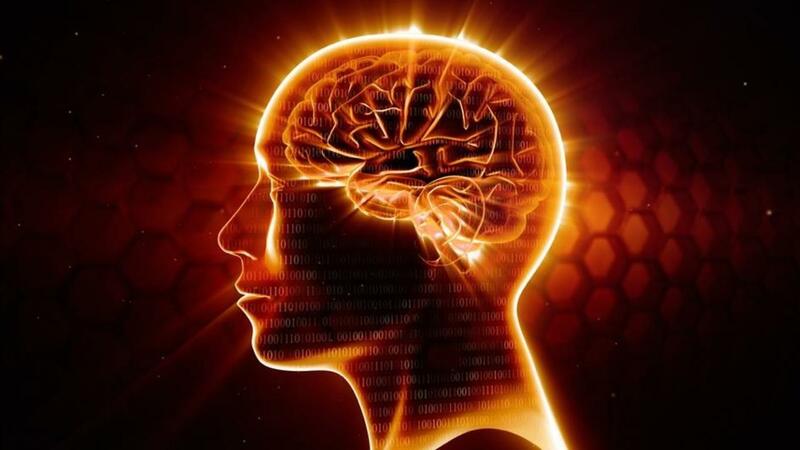 In this section, you will learn how to buy the best nootropic supplement for your goals. In 2015, there was a study on the DNA in the supplement products sold in major departmental stalls. The investigation concluded that only five of the dietary supplements sold in these stalls had recognizable DNA, or at least came from the plant that the product had claimed. So, you shouldn’t trust supplements sold in drug stores, supermarket and departmental stores without proper scrutiny. Before buying any product, look up the brand’s website and check the ‘about us’ page. Find out what the company is about, how long they have been in business and their philosophy towards manufacturing dietary supplements. Understand their customer service options and know how you can voice your complaints, comments, and questions. There is no standard therapeutic dosage for any dietary supplements. Most of the labels suggest an amount that the manufacturer deems safe for use. You can start by reading safe recommended doses by the FDA before you go shopping. Doing this will give you a glimpse of the average so that you can tell when a brand is advocating an overdose or an underdose. Gross discrepancies are a sign of an unprofessional firm that is likely to sell you a counterfeit product. When you are using nootropics for the first time, take the minimum dose first and then increase it with time. Most consumers are confused about whether they should go for the extract or the entire herb. The choice between an entire herb and the extract depends on the nootropic in question. For instance, turmeric works better when it is in its ground form rather than the entire root. The dosing of Lion’s mane mushroom depends on the strength of the extract. The purity or Resveratrol is critical in ensuring optimal functioning. Therefore, before buying any product, take the time to research on the nootropic of interest. When buying dietary supplements, you should understand that it is all a matter of buyer-beware. Therefore, it is up to the consumer to confirm that the label is from a legit company. Some products have been tested, and their results are available. As for the imported products, you may have to do personal research because there isn’t much information out there. Read the supplement bottle labels to understand the other elements in the supplement. Most products have the list at the back side of the packaging. The other ingredients are not necessarily active. They might be essential in improving consistency, stabilizing the product, binding tablets, and increasing moisture resistance. Another factor to consider is whether the product is fat-soluble or water-soluble. Water-soluble nootropics are usually easy to absorb. On the other hand, fat-soluble products require dissolving in oil to ensure they can be used by our brains and can cross the blood-brain barrier. That is why some supplement labels recommend that you take the nootropic with a meal. The manufacturer, in this case, is implying that the product is fat soluble, and they are counting on the fat in your food to increase its bioavailability. If you see such an indication on the package, consider taking a tablespoon of coconut oil, extra virgin or cold-press oil before taking the supplement. The legality of nootropics varies from one country to another. Most parts of the United States allow the purchase of nootropics as legal substances. There aren’t any legal restrictions on consuming or owning nootropics across the USA. However, the law does not permit their sale as dietary supplements. The law of psychoactive substances came into effect on May 26th, 2006 in the UK. The act leaves nootropics in a grey area, which has made many sellers avoid trading the supplements to be on the safe side. The law prohibits the sale of substances that have psychoactive effects. Russia is one of the countries with the most advanced nootropic research in the world. Noopept and Phenylpiracetam were developed in Russia. Dr. Corneliu, who is considered the father of nootropics, did most of his study in a Russian university. Therefore, the authorities are relatively lenient with regards to access and sale of the supplements. The legality of nootropics in the European Union varies widely because there are 28 governments with different regulatory standards. European countries that do not require a prescription for piracetam are Germany, France, Italy, Switzerland, Norway, Finland, Spain, Netherlands, Sweden, and Poland. It is one of the world’s largest markets for nootropics. Since there is a homegrown supply of nootropics, citizens often purchase the supplements without a prescription. Health Canada assigns Drug Identification Numbers (DIN) to all medications permitted for sale in Canada. Some substances that are considered nootropics such as racetams do not have a DIN and cannot be sold in Canada. The drug regulatory policies in Brazil allow for the sale of most drugs behind the counter. Doctors and pharmacists should adhere to the “stripe system.” The system assigns a color to a medication depending on its risk levels. The legal structure regarding the consumption of nootropics is by class. There are nine classes. Medicines such as modafinil and piracetam require a prescription to purchase. They also allow the sale of synthetically derived compounds as long as you do not market them as medicine. Make sure you understand the laws of your country regarding nootropics before buying. When traveling, take time to comprehend the rules of the country you are visiting to avoid falling on the wrong side of the law. There is no right or wrong way of using nootropics. It all boils down to the goals and available methods of using the supplement. You should also be mindful of these three rules to ensure that you yield balanced and effective outcomes. Various modern technologies enable you to test and monitor your nootropic usage. The idea is to know whether the nootropic has a positive effect on your cognitive functioning. Some of the tools you can use include the mercury app, Cambridge sciences, and quantified mind tools. For my experiment I am doing with the new Qualia Mind Nootropic (be sure to subscribe to my email list to hear about my findings) I am tracking my results with my Oura Ring and software by a company called CogniFit. If you underslept, ate a poor diet or did not exercise, it is not appropriate to expect results from using nootropics. They are the only supplements and are only meant to supplement your lifestyle and diet. Making poor lifestyle choices then running to nootropics for comfort might lead you to over depending on them. People using nootropics often find themselves being victims of attachment, either mentally or physically. Physical additions to caffeine, phenibut and Rhodiola might reduce cognition and interfere with brain chemistry in the long term. Mental addictions are harder to distinguish but equally problematic. Ok now for the part you've all been waiting for! You've done the research, you're keen to try a nootropic, but you don't know what products to begin with. What I have done is broken down the key nootropics for various goals below. These recommendations are for single nutrients. I have linked to products that I use or would recommend. You can order any of these through iHerb.com and be sure to use discount code BHS654 to save on your order. Below this I will also include popular and effective nootropic blends for those looking for a nootropic blend. Brain energy (for mentally taxing tasks) - Nootropics known to increase ATP in the brain include Vitamin B1, ginseng, CoQ10, mushrooms, and cordyceps. The guys from FourSigmatic.com have some great mushroom blends which can be seen here. Heightened Brain Wave activity (to help with focus, mediation, learning or playing music or sports) - The nootropic known as L-Theanine helps in boosting the intensity of the wave patterns in your brain. Oat straw also improves cognitive performance. Onnit's Alpha Brain is a good blend for this purpose. You can trial it through this page HERE. Brain Signaling - (to optimize neurotransmiiter function, helping with mood, appetite control, anxiety, attention, and learning) - They include tyrosine, turmeric, huperzine, serotonin, L-theanine, magnesium, and ginkgo biloba. Qualia Mind is my go to choice for a blended formula here. Brain Repair (to help with sleep deprivation, head injury, brain related diseases and aging) - Improving BDNF is the key - BDNF can be enhanced through high-intensity exercise, caloric restriction, intermittent fasting and by eating mushrooms. 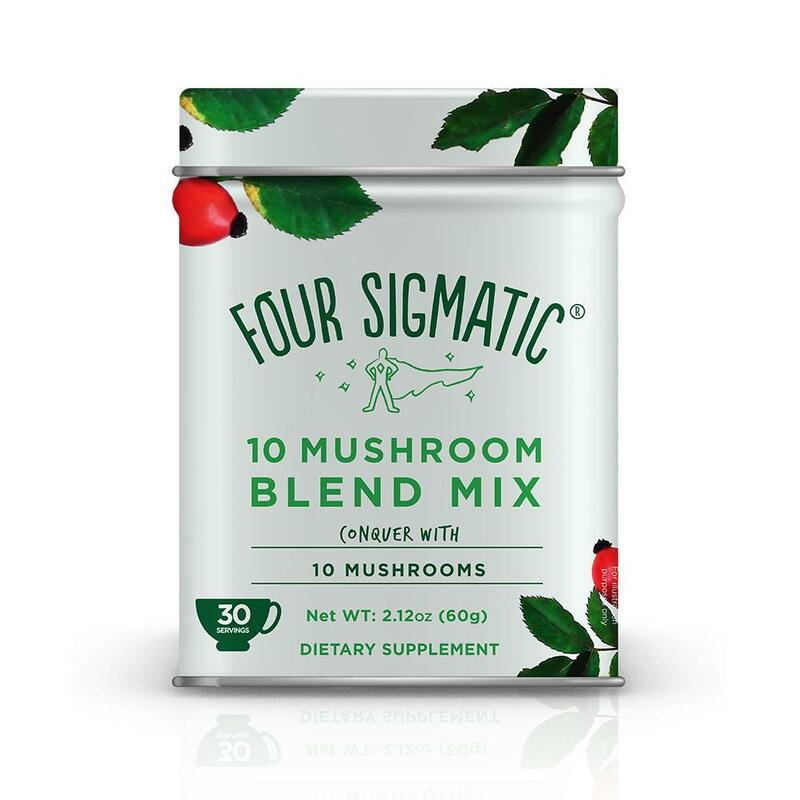 As well as incorporating the lifestyle and dietary recommendations, check out the mushroom blends from FourSigmatic. Brain Cell Longevity - (for improving memory capacity and recall) Some nootropics aid in neurogenesis, such as mushroom, taurine, piracetam, citicoline, Lion's mane, and L-Theanine. Both the Alpha Brain and the Qualia Mind products are good picks here. Brain Fatigue - (to help remedy brain fog, depression, poor focus and concerntration) Nootropics such as Rhodiola Rosea, Ashwagandha and Bacopa Monnieri support the healthy functioning of your endocrine system and your brain. Qualia Mind or the lower priced Qualia Focus would be my pick for this. You can also use discount code FERGUS to save on these products. Brain Blood Supply - (for improved brain performance) Nootropics that are commonly used in increasing blood flow to the brain include Gingko Biloba, Bacopa Monnieri and Vinpocetine. Onnits Alpha Brain is a good blend for this. Looking For One Nootropic To Do It All? Chances are if you're still reading, you're a little overwhelmed with all the different nootropics! Fortunatley, others have felt the same way and have formulated some excellent Nootropic blends or 'stacks' as the gurus call it. These blends are designed to be a complete, one stop nootropic solution. There are countless products on the market, and I don't want this article to turn into a review of all these products. Instead, I have listed my top recommendations for a Nootropic blend. These recommendations are a result of my research into the formulas, combined with the manufacturing process they use and of course my own and my clients own experiences with these blends. This is my personal Nootropic of choice. In fact I've taken it this morning. Qualia mind is there '2nd gen' formula. I reviewed their first formula two years ago (you can read that review here - My Intense Experience Taking Qualia) and I'm currently in the process of doing a comprehensive experiment (and review) of the new Qualia Mind formula (sign up to my newsletter for updates on that). 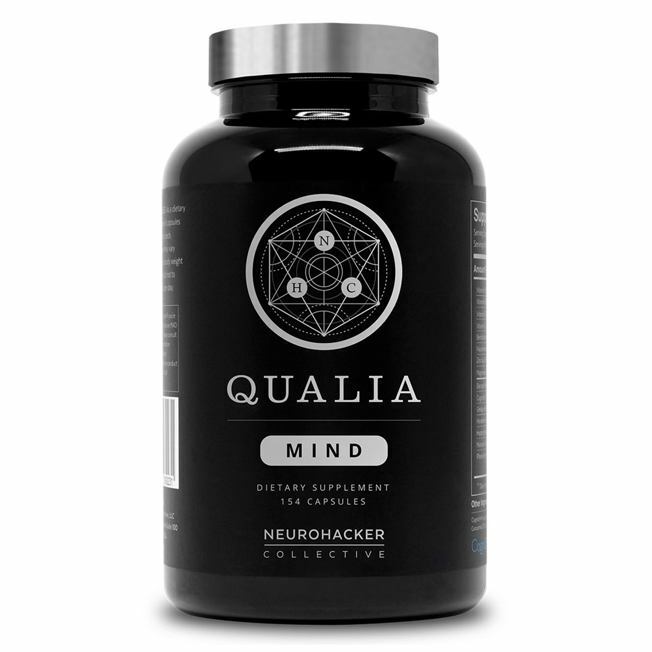 Their new Qualia mind formula comes in a caffeinated version and a non-caffeine version (I use the latter) and may very well be the most advanced nootropic blend on the market. You may recognise some of these compounds from the article above. This is why Qualia is quickly becoming known as the worlds top nootropic. This is only a short list of all the ingredients the product has (one serving is 7 capsules!) you can see the full list here. Also be sure to use Qualia Mind discount code FERGUS if you do decide to order this product. This is the little sibling to the premium Qualia Mind product. It has slightly less ingrediants than Qualia Mind, but comes in at a much lower price point and one serving is only 5 caps instead of 7. Qualia focus doesn't have the same benefits around focus and attention, nor the memory and learning ability. 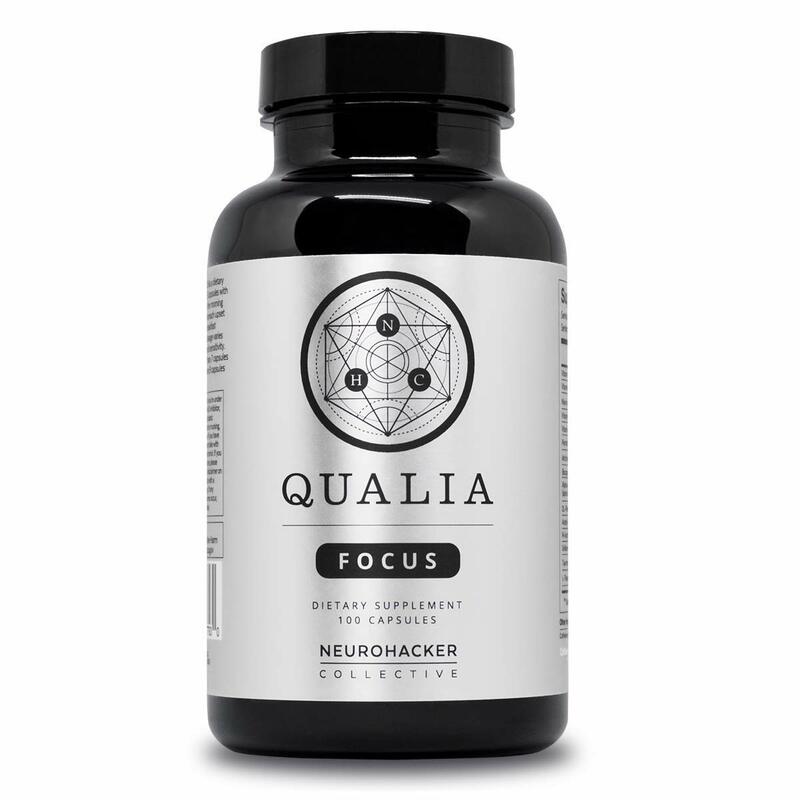 But for those on a budget, Qualia Focus is a great entry level nootropic. Plus with discount code FERGUS you save an extra 10% on the already low price. Alpha Brain is Onnit's famous nootropic. Clinically proven to boost memory and focus, there is a reason why it's so popular. You can even find this in major retail stores such as Wholefoods. So what's the deal with Alpha-Brain? It doesn't have the same extensive ingredients list as the Qualia products, but it does have a few ingredients that Qualia doesn't have. Namely Oat straw (for heightened brain wave activity - many Alpha Brain users take a serving before going into a float tank or deep mediation) and Vinpocetine (which helps with brain blood flow). I have used Alpha Brain on and off over the years, but continue returning to Qualia, though the Qualia product is more expensive. You can purchase Alpha Brain through iherb here (use iherb discount code BHS654 to save). 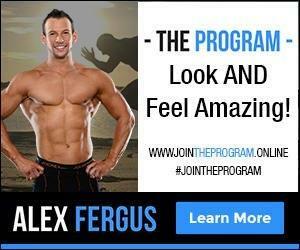 Or you can get a free Alpha Brain Trial through THIS LINK. 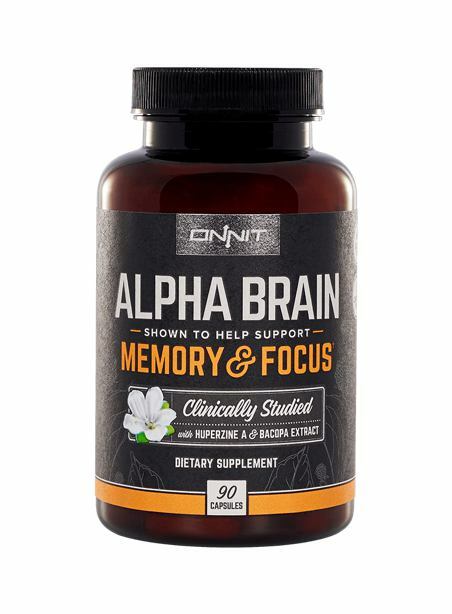 Onnit.com also sells Alpha Brain, and discount code ALEXFERGUS will save you 10% on your order. 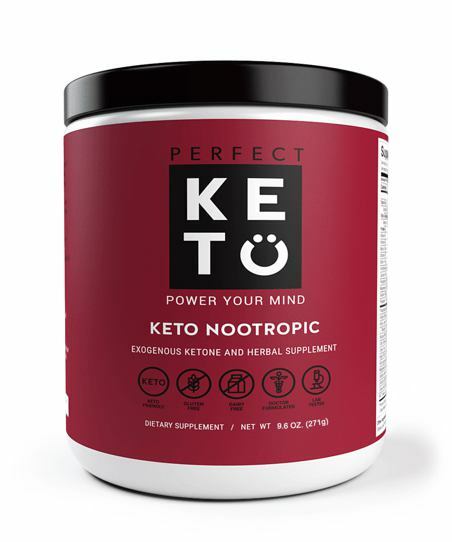 If you're following a ketogenic diet, you will like Perfect Keto's 'Keto Nootropic'. Cat’s claw - This woody vine found in the Amazon was revered by the Inca’s as the “life-giving plant”. And supports healthy cellular function. But it also contains MCT Oil powder, collagen, a bunch of vitamins and minerals oh and added exogenous ketones! This is a ketone product after all. Finally we have the Four Sigmatic mushroom blend. This product combines 10 adaptogenic mushrooms - some with amazing nootropic properties, into one formula. This blend may be suitable for someone who wants the benefits of a nootropic, but doesn't want to consume any pills or synthetic compounds. It's simply a blend of mushroom powders that you mix with water and can consume daily. You can purchase this from iherb with discount code BHS654 or direct from the Four Sigmatic site. Based on my own experiences with nootropics, the no-low risk of side effects, and the science showing how beneficial these products are, then Yes, taking nootropic supplements are worth the time, effort and money you invest. While at it, make sure you exercise caution to avoid buying a counterfeit product. Be mindful of the rules above so that you can enjoy the cognitive enhancement benefits of nootropics. And always read the labels for dosages and precautionary notes. What do you think? Will you try a nootropic after reading this? Let me know if so, I'd also be curious to hear what product or blend you go with? And if you use your own blend or stack, and have good experiences, please share that in the comments below. Finally, if you enjoyed this article, be sure to share it with your friends, give me a thumbs up and subscribe to my newsletter for more content like this.